Instead of us just telling you how good our cloud-based software is, we asked John Stanley from Vesta Stoves to tell us why he likes using Sage One Accounts. 1. Hi John, could you please give me a brief summary of who you are, what you do and the name of your business? 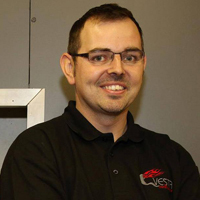 I’m John Stanley, MD of Vesta Stoves which has been producing woodburning stoves and garden stoves for the past 19 years and is a true family business. We originally started out producing very high specification woodburning stoves in a small workshop not too far away from our current factory, ‘The IronWorks’ which is based in Rufford, Lancashire. Every part of our woodburning stoves is built on site so we have total control over the finished quality and The IronWorks is open to all who wish to visit and see our stoves being constructed and burning in our factory outlet. 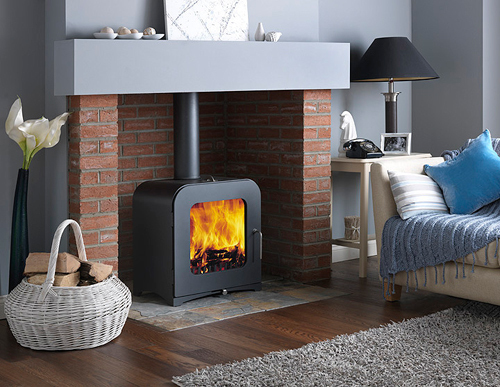 We’re passionate about making affordable heating solutions and believe that our woodburning stoves offer the user a high quality, high efficiency wood burning stove at a reasonable price. 2. How many people are in your business? Is it just you or do you have business partners / employees? We are a small family business and have 12 employees (mostly family). We are one of just a small handful of stove builders in the UK that actually build our product from scratch. 3. How long have you been using Sage One Accounts? How were you managing your finances beforehand? Why did you change? We have been using Sage One for the past 3 years and it’s really helped us streamline our business and enables us to have a truly mobile office. All our sales are generated through our online shop at www.vestastoves.co.uk and with a bit of research we came across a solution called OneSaas that synchronises our web sales directly into Sage One. It’s really slick and is constantly updated. We were using Sage 50 desktop software but it was too complicated for our small business so our accountant, Sawyer Quine & Co, recommended Sage One Accounts so he could login and review or make changes from his office. We were up and running within a day or so and found it so easy to use. The neat features like emailing invoices direct to customers also allowed us to cut the order processing time down dramatically. We are basically a small business but with the website and Sage One it allows us to be seen as a much bigger and professional organisation. 4. What do you like best about Sage One Accounts? The best thing is probably Sage One’s portability. With our online chat system on our website I can be chatting with a customer from anywere in the world and input orders into Sage One which are then displayed in the factory and entered into the production run. I also know that the data is safe and backed up. How many times in the past has my disorganised backup routine from my desktop software caught me out? I am also excited about the launch of the new Sage One mobile app for Android which will help us further when out on site installing fires by giving us the opportunity to email invoices at the point of issue rather than posting out from our office. 5. What do you think of the Google Drive integration? Brilliant! I use this a lot. All my email accounts are handled by Google and we use Gmail as our main business email solution. The ability to backup Sage One invoices in Google Drive is a great feature that you can be writing an email and simply click insert Google Drive file and send the pre-formatted invoice. It just adds to the whole Sage One experience. 6. What advice would you give to someone starting out in business / following in your footsteps? Don’t hold back on organisation. Get your house in order from day one. Using something like Sage One certainly helps! Try Sage One for free! He doesn’t mention that he takes money for items that he has no intention of supplying. Terrible company!!! I have had the same terrible service, we have paid money for a stove that we still have not received, the excuses this man comes up with is just a joke, we will unfortunately be contacting solicitors in an attempt to get our money back. I wish we had read all the negative comments on the web before purchasing our stove, we haven’t taken delivery of our stove yet 6 weeks overdue, broken promise after broken promise. Id like to reply to these comments. As a small family business when a staff member is taken ill its a difficult challenge to overcome. The user wayne actually had his product delivered after he had a dispute with his customer. He is actually talking about an additional log store that was delivered late due to a back order issue. The user sparky we have no idea who this is. Anybody who requests a refund would get one however for custom made products we don’t offer a refund and this is clear in our terms and conditions. Andy we are sorry if we have been late on a delivery if you let me know your details I will certainly look into it and try to get it resolved. Thanks for the comments we will do our best for this make sure this is resolved and doesn’t happen again. If your the type of person who takes notice of these comments then you will notice that on our website we offer a pay on delivery option. hello John, why don’t you use Sagepay to give me back the £545 for the flue liner kit you never delivered? Yes, having chronic Kidney failure myself and a transplant, i have learned not to take on work i cant handle, or ensure delivery on in a timely manner. John if you are generally ill, it still doesn’t give you the right to continually lie about delivery, you promised my stove so many times assuring me it had been despatched when you knew very well it hadnt, the stress you caused us was so unfair we really didn’t deserve the treatment handed out by you or your company at our age, the whole experience of dealing with you has left me with no trust in purchasing from the web ever again! If we hadn’t of got trading standards involved I very much doubt our stove would of been delivered! Hi Andy, as I said elsewhere in my comments, I’ve heard some great reviews and feedback about Vesta Stoves so I’m sorry to hear you’ve had a bad experience. I’m sure none of it was intentional and that John will do everything he can to resolve. Hi Wayne, I can’t believe that this is deliberate. If it was, there’s no way John would still be in business for over 10yrs. I hope you and he can resolve the issue, if not already! Hi Sparky, it sounds like John has been having problems which are bound to affect how well he can provide a service. I’m sure that none of this is deliberate and that if you keep the dialogue open he will fix as soon as possible. Hi mountainmulecycles, please see my comments below/above. I’m sure that none of this was deliberate and that John will try to resolve asap. have had on them. It is clear that the customer issues are widespread and it is also clear how frustrated people are. Secondly, do you think if people were able to get a satisfactory response from Vesta in the first place, they would bother to track down an external site to comment on? Raise things directly with Vesta? Difficult when they ignore communications, tell you one thing and do another, disable their twitter account when complaints become too numerous and regularly delete complaint comments from their facebook page, leaving a sanitised version of customer feedback. The fact that you have heard great things about Vesta is of absolutely no help to the significant amount of customers who have had a disastrous experience. I’m not sure why you believe stating that your Global Commercial Director has heard good things is of any significance either, unless you are trying to imply that his job title makes his opinion in some way more worthy than others. For everyone who has posted about their experience here can I suggest that you post a Google review of Vesta, at least then people will have access to information about the issues, as anything Vesta has content control over simply has any negative comments deleted. I wish we’d had access to that before starting our entirely regrettable dealings with Vesta in September 2014. I’d love nothing more than to be able to move on and forget all about Vesta, but unfortunately the saga just keeps going on and on. Hi Clare, I’m sorry you think it’s inappropriate for me to reply but I am the manager / editor of this blog which is meant to be about Sage One Accounts and Payroll software, not a place for customers to complain about the service of any businesses that we feature on the site. If I wanted to, I could remove these comments but don’t agree with censoring websites. Instead, I have been encouraging John (Vesta Stoves) to come back on and respond to each of you individually online and resolve the issue offline. I also mentioned our Global Commercial Director because he received fantastic service from John at Vesta Stoves and it was he who recommended featuring him on our blog. I am a massive supporter of small and micro businesses and so don’t like to see things go wrong for them or their customers and so hope John can turn things around and fix things for you and the others who have commented.